Malta is still chasing after their first win. Kosovo defends its 1st place. Red lantern of this league of the Nations League, Malta has 2 units behind the 3rd place. In September, the selection fell to the Faroe Islands (1-3) before conceding the division of points at home against Azerbaijan (1-1). At the last rally, the Maltese fell in Kosovo (1-3) and brought back a good point from Azerbaijan (1-1). 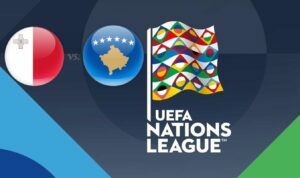 Group 3 leader of League D of the League of Nations, Kosovo has made a great impression since the start of the competition. The men of Bernard Challandes first brought a valuable point of Azerbaijan (0-0) before dominating, at home each time, the Faroe Islands (2-0) and Malta (3-1). On the last day, they got a draw in the Faroe Islands (1-1). Malta is composed of elements that know each other well, as evidenced by the presence of 12 players with more than 30 selections. Goalkeeper Hogg, defenders Muscat, Agius and Camilleri, midfielders Briffa, Muscat, Kristensen and striker Mifsud play an important role in this selection. To note the important absence of the middle Ryan Fenech. For Kosovo, the promising midfielder of Swansea Celina was forced to withdraw for the rally, while Bernard Berisha (Russian Premier League) is still absent, as well as striker Rashani (3 goals in 5 selections). On the other hand, goalkeeper and captain Ujkani will be accompanied by his usual lieutenants, defenders Rrahmani and Vojvoda, midfielders Valon Berisha (Lazio) and Rashica (Werder) and strikers Muriqi and Nuhiu. In the first leg, Kosovo dominated Malta ahead of their fans (3-1).